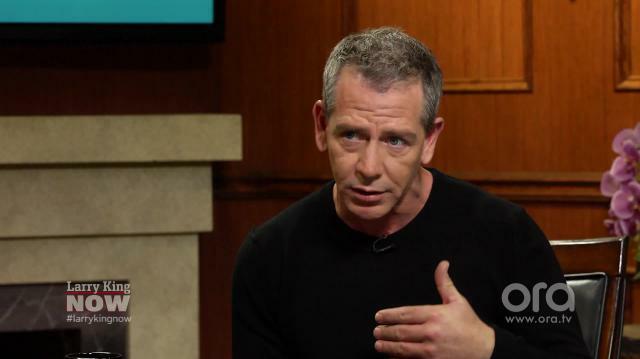 Ben Mendelsohn – who won an Emmy for his role as Danny Rayburn in ‘Bloodline’ – says Robert De Niro’s performance in ‘Taxi Driver’ played a pivotal role in his journey to becoming an actor. Ben Mendelsohn: Oh it had an enormous effect on me. I saw it when I was about 15 I want to say. I watched that film again, and again, and again, and again, and again. Larry King: I know Bobby DeNiro very well, we’ve become very close friends. What was it about him in that role that affected you? Ben Mendelsohn: It was the gradients of subtlety to his performance. In fact there’s pretty muchuniversal magnificent performances in that film. It’s an incredibly heavy film. It’s very hard to think of a film like that being made now, but that really was a different time. But it was the force of his portrayal with the subtleness of it. It really – see and I think… The biggest development I believe in the knowledge of screen acting is basically that we all have these mirroring parts of our brain. So if we see someone feeling something, we’re able to feel it. And if someone does that accurately, then it comes across the screen very easily. And method acting essentially gave us access to that. And he was par-excellence, the method actor. So he was astounding. Larry King: I gather that you would like to work with him. Ben Mendelsohn: Yeah sure. But you know, there’s also something about meeting your idols, you know? And so he’s done an enormous amount for me in my life, just by doing what he did.